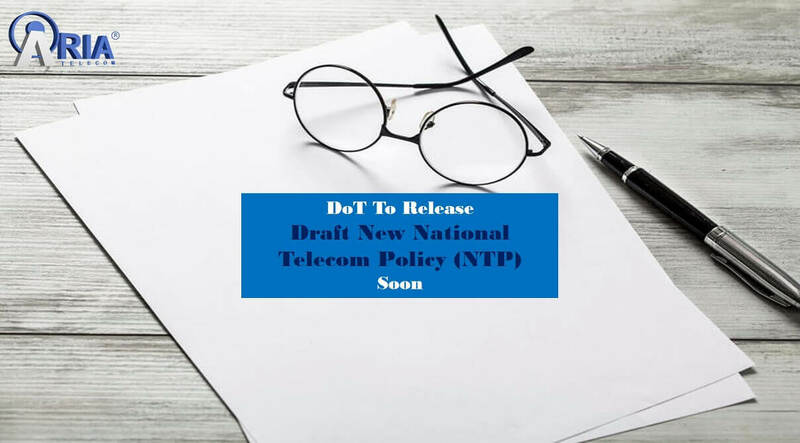 DoT (Department of Telecom) is all set to release New National Telecom Policy (NTP) draft tomorrow. Telecom Secretary Aruna Sundararajan confirmed the same at the Annual General Meeting of US industry body Amcham. This draft policy will be released to receive public comments for at least 2-3 weeks before making further decisions. The new policy has been restructured to be more investor friendly cost compatible for the telecom solution providers. In the event, Sundararajan further added that this new policy will encourage more company partnering and work more closely on Make in India project. Once the public comments are received, DoT will be having inter-ministerial consultation on the same and then only it will be forwarded to the cabinet for approval. The Telecom Regulatory Authority of India (TRAI) has also recommended a roadmap for new NTP to be more addressing towards global requirements and investments. TRAI is optimistic about to receive USD 100 billion investment by 2022 with this new policy. It also suggested that the new NTP must create more relaxed opportunity for businesses by simplifying the regulatory process and rationalizing of taxes, levies and related compliances. As per TRAI recommendation, the new policy will create more jobs with achieving 900 million broadband subscriptions I coming years. It has also recommended for a minimum download speed of 2 Mbps, and least 1 gigabit per second with wireless broadband for connecting all gram panchayats by 2022. The telecom solution provider has demanded lower the spectrum charges, use charges, license fees and other levies to ease business in this sector.